Perfect cross-trainer gloves for fighters that want to focus on improving their speed and cardio, but still desire that boxing glove feel when working out. 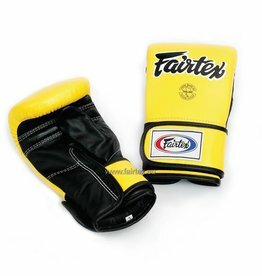 Fairtex TGT7 yellow cross-trainer boxing and bag gloves. Ideal for usage on the heavy bag and training speed and cardio.